Millions of Americans identify themselves as being patriotic; in fact, a recent study found that over 50% of Americans say that they are extremely proud to be American. If you are a patriot who wants to add some American pride to their garden, you are in the right place. From investing in quality American made furniture to embracing national symbols, there are lots of ways to make your garden more patriotic – but that isn't all. Expertly crafted wooden furniture will also look like a work of art, helping to add beauty and style to your garden. Here are two simple ways to add some US pride to your garden. A significant way to add a hint of patriotism to your backyard is to invest in US made furniture. There are lots of benefits to buying US made products, such as helping to retain American manufacturing jobs to give the American economy a boost. It also benefits the environment, as it means that the products that you use have less air miles behind them. 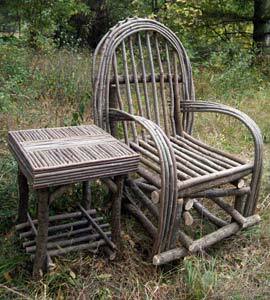 Alternatively you can build your own furniture using supplies from the US, such as twigs and branches. It is entirely possible to build your own furniture (although you may need a little help from a video tutorial!) and this gives you a second sense of pride; using something that you made yourself. If you decide you want to build your own furniture, start with a table as this tends to be slightly easier than the chairs, and then move onto the chairs once you feel a little more comfortable crafting furniture. The bald eagle has been the national emblem for the United States of America since 1782 due to its strength, power, long life and majestic appearance. The eagle is certainly very beautiful, and you can bring its grace and power to your garden by adding a cast stone eagle or a metal eagle. Both of these options are very durable, so they will be fairly weather resistant, and they look particularly striking if you put them two at each side of the entrance to your garden. This is a great way to add a little patriotism to your backyard without going over the top. You can easily add a little patriotism to your backyard without breaking the bank. Cast stone eagles and US made furniture are both affordable additions to your garden; and if you want, you can even try making the furniture yourself (from US supplies, of course). Just wanted you to see why I had to have your tables. They ARE perfect! Thank you so much for making them and getting them to me. 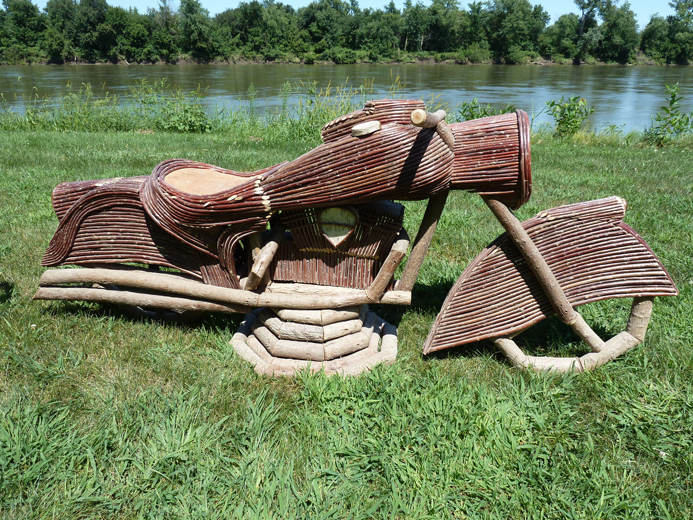 Gary is Twig Factory’s master builder, and he shows it by creating intricate twig art of motorcycles. It’s such an undertaking, no two sculptures are the same. This video shows you both an American cruiser and a chopper. First we have a sculpture called “The Chief.” Its imaginative detailing includes a stick shift, leaf springs and log gas tank. Birchbark keeps the headlight bright, while reversed birchbark simulates a leather seat. This motorcycle stands steady on a wide twig pedestal and twig tires. We also want to show you our Cobrahead Chopper. This sculpture’s face has fangs and eyes. The front fender has a skeletal look with twigs cut at perfect angles, just like spinal cord. Unlike the cruiser, this chopper’s seat is made of twigs. Similarly, it has the stick shift, log gas tank, and branch handlebars. It stands on its own style of pedestal and twig tires. 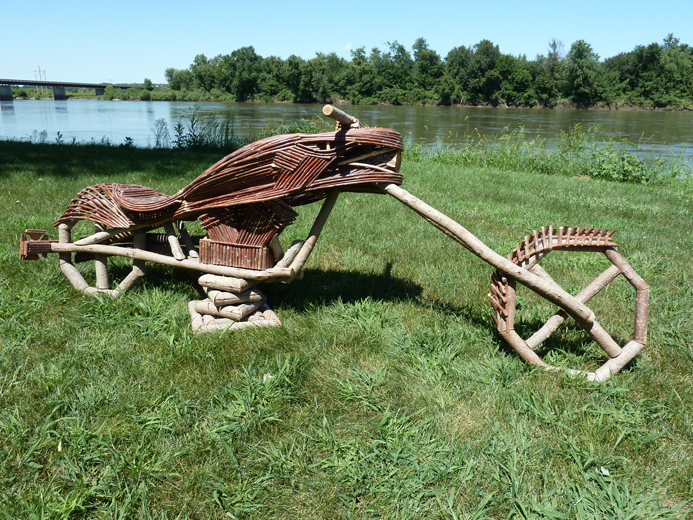 We are always building new twig sculptures, so visit our Motorcycle Art page to check for new additions. Don’t forget to contact us for the most up-to-date photos of our one-of-a-kind creations. 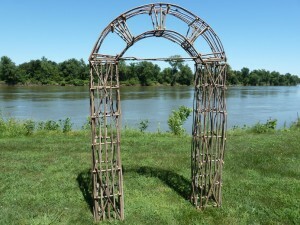 The Cubic Arch Garden Arbor is a romantic decor idea, great for weddings. This 3-piece twig archway consists of two square pillars and an arch. The pillars are each 72” high by 12” square; the arch is 60” wide and 24” high. Inside the archway is 36” of space. A 72” wide arbor with 48” of walking space is available as a custom order. Since we’re on the subject of wedding decor, here is the Wedding Bench. This bench is a custom item. We ship you the bench with one layer of finish on the seat for your wedding guests to sign. We then clear coat the bench again, preserving the signatures and your memories. We have plenty more twig garden decor ideas. Contact us for bespoke or custom orders. The Standard Chair is built to a superb standard. Watch Gary the Twigologist stand on the armrests to see how strong it is. The Standard Chair and Square End Table look great together. The Standard Chair has perfect measurements for comfort. Gary designed this twig chair using his expertise in upholstery dimensions and his experience with back injury patients. The front bar serves as a footrest so you can sit with with one or both feet higher. The bar adds an ergonomic function for people with back problems. The Square End Table is a great match for our Standard Chair. The table shown is 16” square and 22” high. Our Custom Twig Frames come in every style with imagination being the only limit. The twigs come from the riverbanks of Iowa, with other natural and recycled materials from around the world. The Rustic Twist is just one example of our one-of-a-kind frames. 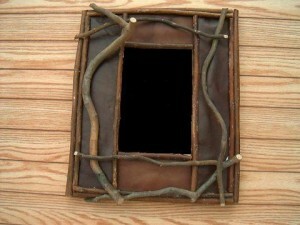 We build picture frames in Brazilian bull hide, birchbark, all twig, and even corrugated metal from the sides of barns. There are endless ways of displaying twigs around the frames. Because the frames are made from natural materials, each one is naturally different. Contact us when you are ready to order a frame and we’ll send you a catalog of what we have in stock. We’ll take custom orders, too. There is no denying that wood furniture has a certain rustic and elegant beauty about it. But once you have a stain on your favorite piece, it can seem like it ruined. That is why you need to take action to prevent unsightly stains on your favorite piece and ensure that you have properly protected it. The following tips will protect willow furniture, twig furniture and every other type of wood in between. 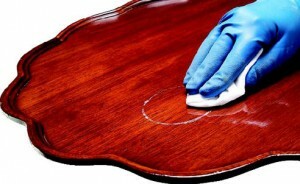 One of the worst stains that you will face on your wood is the water stain. No matter if it occurs from a spilled drink or a leak in the home, you will need to treat the spot as quickly as you notice it. If the stain is fresh, you should be able to rub it lightly with a soft cloth to soak up the liquid. If it has already set, you take some oil furniture polish and being to apply it in a circular motion until you have rubbed out the stain. If the stain is difficult, combine some toothpaste and baking soda and rub it into the stain. Then remove the mixture and polish the piece. If your willow furniture has a heat stain on it, you might think that there is no solution. Instead, as soon as you notice the mark, generously massage mayonnaise into the spot. Then allow it to set overnight. When you are up in the morning, you can wipe the spot off with no trouble at all. Just like heat damage, cigarette burns on your twig furniture can be easily fixed with mayonnaise. The difference in this treatment is that you will want to add some ashes from the cigarette to the mayonnaise as you apply it. This helps to gently buff the surface and work out the spot. A nightmare for any piece of wooden furniture, especially twig furniture will be alcohol. This has the tendency to dissolve the finish and damage the wood quickly. As soon as you spill your drink, begin to blot it quickly and place some ammonia on the area, and then wipe it clean. You should then follow this up with some linseed oil later that can be applied to the spot for deep down care. What you are going to find is that while they are unavoidable, furniture stains can be treated. Looking for some great tips or options for your twig furniture or willow furniture? Consider these warnings. Chlorine bleach only removes the stain from the wood; it will not alter the natural color of the wood. If you want to bleach out the stain and the natural color of the wood, you’ll need to purchase a two-part product that combines hydrogen peroxide with sodium hydroxide, which is available separately or as a kit at most hardware and home improvement stores. This is applied in the same manner as chlorine bleach, including rinsing the wood with vinegar to halt the chemical reaction. If you want to know more about rustic and twig furniture, check and contact us today! Country and Rustic Style: What’s the Difference and What Makes Them So Well Loved? Whether you're living in a log cabin or a country cottage there are ways to get those great looks that you love. What's your pleasure, country or rustic and what are the elements of each that give it that title? Country and rustic decorating are very similar in style but with a few major differences. Both of them feel good and remind you of the time spent in your cabin or with grandma. Both have that age old style and comfort that just make you feel good. Elements of country decorating are used in rustic decorating at times and likewise, rustic elements slip into country styles, but the major differences that you're going to find are these: Country decorating uses a bit more frills than rustic. It is casual, warm, and cozy. If it's country, it is all about comfort and warmth. The look is neat and tidy, a little overstuffed and absolutely unexpected. Country decorating may see a chair in a corner with a small side table to give you a spot for reading, yet when the visitor sits down, the chair yields a gorgeous old china doll or a raggedy Ann for their amusement. Lots of fabrics, warmth, quilts, cross stitch and country crafting says that the look is all country. It's warm and it is welcoming and it's you. Country in the city is still country. Rustic decorating is all about rough cut, warm woods and easy care. 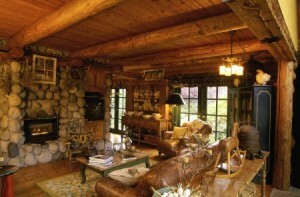 Rustic is at home in rustic places, such as the forest cabin or the log home. It can just as easily be at home in the city though if that's your desire and your style. Rustic decorating is as close to nature as you can get. Twig furniture and rough hewn log interiors, hard wood or plank flooring and oak beams all stand up and shout Rustic. It is, as previously mentioned at home in the middle of the prairie or the forest, but if you can't select your location, you can absolutely select your atmosphere. To get the look without the location, rustic homes are primarily unpainted, leaving a good bit of wood surface showing and using a lot of warm wood to decorate. Twig furniture, knotty pine walls and rough bark beams can say rustic and offer the feel of living in the forest right up until you step outside the door. Where Can I Use Rough Wood Furniture? The best part of both rustic and country decorating is that items such as twig furniture and willow furniture are equally at home in both. 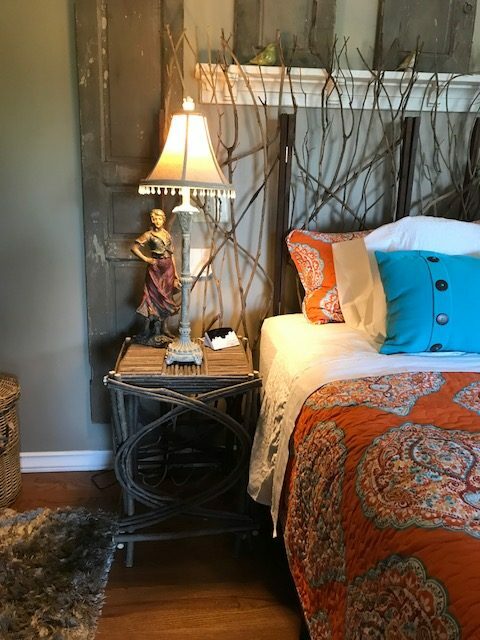 Rustic decor can benefit from the look and feel of wood, while the twig or willow furniture will be equally at home in country style decorating, with a cushion or two crafted from an old quilt plopped atop the chairs. If your love is the woods, twig furniture and willow furniture are going to give you the style and the look that you love, no matter where in the world you live. Check and visit us today! Some of the most functional and beautiful furniture is not made with pressed wood chips and heavy upholstery fabric. Twig furniture is fully functional and decorative with unique characteristics due to the wood color and patterning developed by nature. Willow furniture is not difficult to make, it just takes the right kinds of tools and plan to harvest the tree branches and twigs, let them season and cure before working and shaping them into comfortable furniture. The basic tools that are needed include a chainsaw, circular saw, draw knife, chisel, planer, sander, drill and the needed safety clothing, ear and eye protection. After deciding on the style of furniture you are going to make, the decision of using a high quality chainsaw to cut the willow down. For heavy furniture, the thickness of the limbs should be at least three inches. Follow the dimensions on the plans and use planers and sanders to shape the wood in the form you want. Twig furniture needs to be scraped and sanded to remove rough spots that could catch on clothing or bedding at a later date. Willow is very pliable and easy to bend when it is damp but brittle when it becomes too old, a good reason why most rustic style furnishings are designed to be used outside. The knotholes and other blemishes can be used to add character to the finished piece, but it is important to make certain that the wood itself is not full of insects or rot. Choose healthy wood and measure carefully when attempting to join the framework of the piece together. Drills that have enough power for the drill bits to cut through the wood without catching or breaking are important. Some makers use a light axe in trimming the larger pieces of wood because it is easier than using a planer or draw knife. Hand tools such as planers, sanders and draw knives are used to give the piece a clean form and smooth finish. Clamps are used to keep the pieces in place while they are being put together. Some purists of rustic furniture believe in joining the framework of the willow furniture together with wooden pieces but wood screws are more often used in strategic places. If you are making tenons to join pieces together with a Forstner Tenon Cutter is recommended. The same company makes drill bits also designed for this type of work. Among the safety gear needed when working with rustic materials such as willow furniture and the lighter twig furniture are safety boots, logging pants and goggles to protect the eyes. Gloves and ear protectors are also a good idea. Making log furniture will enable you to use the resources that are growing in your local environment instead of relying on imported wood man-made fabrics that will leave a large carbon footprint. Using natural willow and twigs in making rustic or natural style furniture is a very environmentally responsible way to make a useful furnishing for your home. If you are interested to know more about rustic furniture, contact us today! Wood sealants offers your finished wood pieces the perfect protection against dirt and harsh environmental conditions. What many people aren’t aware is just how many options of wood sealants they can choose from. It is of great importance you choose the right sealant for the kind of wood you have since not all of them function in the same manner. Compare different wood sealants and go with one that suits your needs the most. The sealants work in a number of ways to guarantee protection for your furniture. First, they coat the willow garden furniture to ensure water does not penetrate. Even when water pours on it, it will just slide away thus ensuring durability of the furniture. Also, the sealant offers the wooden surface protection against harmful ultraviolet rays. When an ultraviolet ray combines with excessive temperatures, you can be sure the amount of damage to be occasioned on your rustic twig furniture is gigantic. Some sealants smell bad to weevils and rodents that can destroy the woodwork. This helps in guaranteeing longer life for your pricey twig furniture while helping make the furniture worth looking at. The following are some of the wood sealants you can choose from. Vanish is available in two forms: aerosol which is used as a spray and the liquid which can be sprayed on. Vanish dries pretty fast and available in a number of solutions. Vanish contains resins that make the wooden surface resistant against weather elements. It is easy cleaning a surface that’s vanishing coated. Varnish is aerosol rich and offers high levels of protection for your wooden surface. Lacquer is a popular wood finish that’s available in aerosol finish. This kind of wood finish is available in many formulations which dry to varied levels of hardness. It offers a clean and attractive finish and can be used on both soft and hard wood. This is a commonly wood finish that is applied on brush. It dries quickly and quite safe. Shellac has denatured alcohol and natural resin thus making your willow furniture look great! 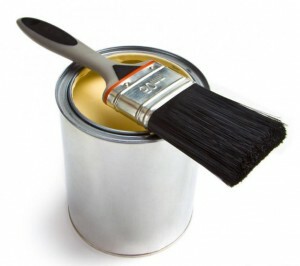 Polyurethane is available in spray and paint varieties. It is one of the most cost effective wood finishes which you can tint to suit your specific requirements. It offers excellent gloss when applied on new wood rather than when you apply it on older wood-works. However, polyurethane is known for its strong accent. This is an excellent wood sealant that offers your wooden surface an excellent finish. Other than offering the wooden surface great protection, it doesn’t smell at all. It is used for both softwood and hardwood. However, it is recommended for seats that remain indoors. This top coat covers the rustic twig furniture to create a hard surface. 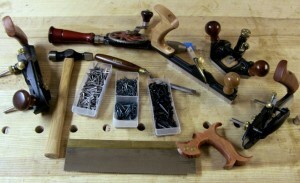 They are mainly the preferred choices for seasoned woodworkers. The protective coating has become the preferred choice for seasoned woodworkers. No matter your requirements regarding wood sealants, you can choose from the long list of products available. There are adequate options for you to choose from. Just know the results that you need and you will be able to make the right choice. Learn more about twig furniture and contact us. © Twig Factory 2007 - All Rights Reserved. TOLL-FREE: 1-800-918-6184, 1-641-209-7599.